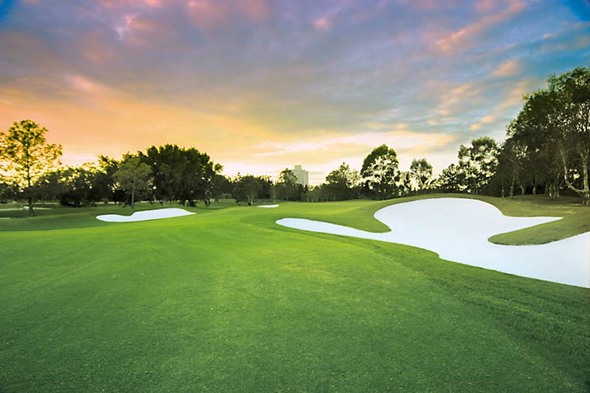 RACV Royal Pines Resort operates a 27 hole composite golf course with 3 x PAR 72, 18 hole combinations (Gold, Green and Blue). 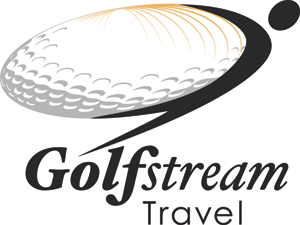 The major revamp of the existing Australian PGA Championship and Australian Volvik Ladies Masters tournament layout is now building momentum as the first stages of the refurbishments are due to finish in time for Decembers PGA Championship event. The course, following the 2 year 27 hole refurbishment, designed by Graham Marsh, will see the grasses being improved to Winter Green on areas other than the greens and the highly regarded TifEagle replacing the original Bermuda 328 grass on the greens. The complexity of works includes the neutralising of the acid sulfate soils in order that their necessary disturbance during earthworks will not impact environmentally on the adjoining waterways. 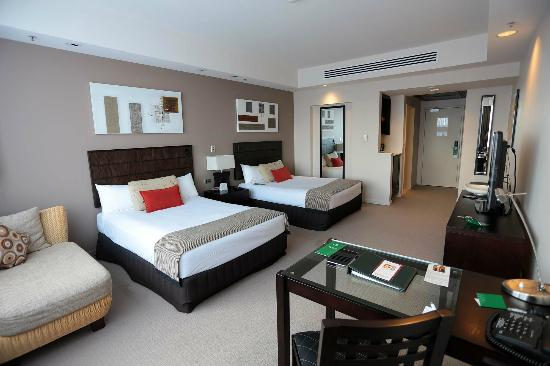 Accommodation at RACV Royal Pines Resort comprises 331 luxury rooms including 46 Corner Spa suites, 3 Executive suites, 1 Torquay suite, newly refurbished and renovated east facing luxurious 2 Bedroom Suite on Level 4, Master bedroom has 1 King bed and Ensuite, Second bedroom has 2 Single Beds. Suite features second Bathroom, full sized Kitchenette, Dining and Lounge area, with free internet for all accommodation rooms. 1 wheelchair accessible room and a mixture of king and twin configurations. Located on the 21st floor, the Executive lounge provides guests staying in Executive rooms with an additional retreat including breakfast, lounge, newspapers & magazines, light refreshments during the day, canapés and drinks in the evening and internet access. All rooms contain individually controlled air-conditioning, STD and ISD telephones, widescreen TV, in-house movies, desk, tea and coffee making facilities, mini bar, in-room safe and complimentary morning paper. The Corner Spa suites include a large lounge area as well as marble spa baths with excellent views of the coastline, hinterland or golf course. Access is available from the lobby, executive lounge and accommodation rooms. 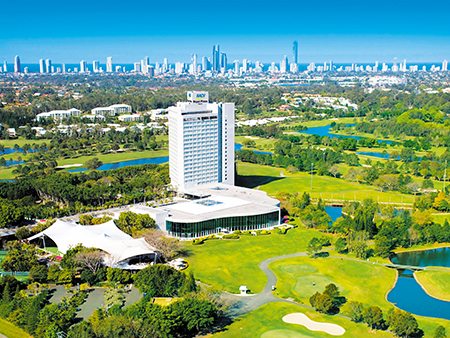 The RACV Royal Pines Resort stands at the centre of beautiful established gardens offering 331-stylish guest accommodation rooms and premium spa suites with expansive views of the hinterland, chic tropical pool, Gold Coast skyline or the golf course. 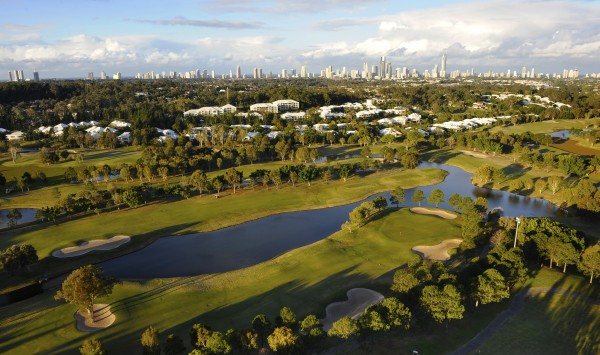 RACV’s flagship resort is a golfer’s dream – offering a renowned 27-hole composite golf course and state of the art driving range, the course is proudly home to the Australian PGA Championship and Gold Coast RACV Ladies Masters. Queensland is now a little more luxurious with the opening of One Spa; RACV Royal Pines Resort’s new multimillion dollar day spa. Enjoy an unrivalled wellbeing and lifestyle experience on the Gold Coast. A diverse range of spa treatments, designed to revitalise and rejuvenate, are available along with additional water treatments including a geisha tub, a lusar/vichy showers and a four-seater spa. 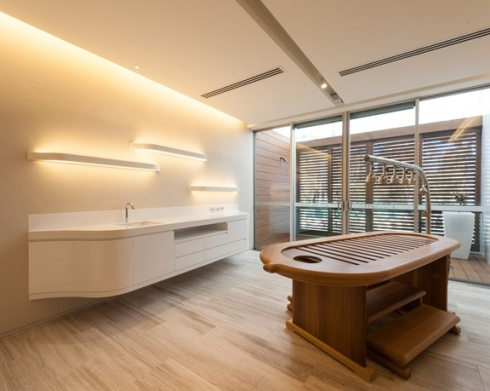 Featuring a private lounge, a hair salon, four dry treatment rooms, two wet treatment rooms and two couple’s rooms, One Spa is a haven from the hustle and bustle of the outside world. One Spa is available to guests of the resort as well as the general public. 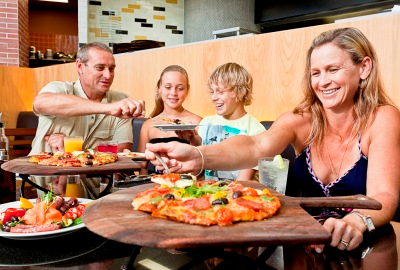 One Lifestyle is the new home of health and fitness at RACV Royal Pines Resort. 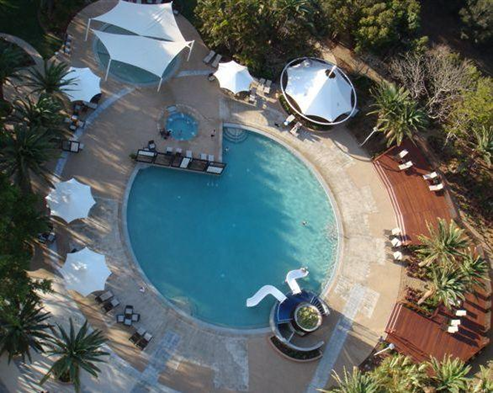 Train at the Gold Coast’s premier state of the art facility whilst enjoying scenic views of the Resort's pool and landscaped gardens. Burning calories has never been so pleasurable! Become a One Lifestyle member and have full access to the latest cardiovascular equipment, resistance training machines, free weights, functional training equipment, group fitness classes and health assessments. There are several restaurant choices at RACV Royal Pines Resort ranging from alfresco, poolside dining, at Kalinda Restaurant, rustic wood fired pizza and pasta at Trattoria Amici, teppanyaki and hand-rolled sushi at Arakawa Restaurant, or casual dining in Tees’ Clubhouse. Named the 2014 Queensland Hotels Association Winner of Best Restaurant (Accommodation Hotel Division); Queensland Restaurant & Caterers Awards for Excellence 2014 Winner: Best Gold Coast Restaurant; Best Restaurant in a Hotel/Motel or Resort; and Queensland Tourism Restaurant Award, Videre Restaurant takes dining to a new level. Located on level 21 of Royal Pines Resort, the restaurant offers a European inspired menu of innovative creations and mouth-watering flavours. 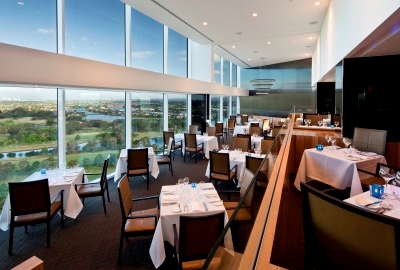 Videre offers a la carte dining, degustation menus with wine matching and the art of gueridon service on select items. Videre boasts two generous Chef tables, a private dining room, dedicated bar area and a state of the art open plan kitchen. The spacious and contemporary design showcases postcard views of the surrounding hinterland, golf grounds and city skyline and capitalises on its sky high vantage points. Videre Restaurant is now offering a decadent High Tea which includes freshly baked warm scones, macarons, French pastries and gourmet sandwiches, with your choice of espresso coffee or loose leaf tea - as well as the world class scenic view. Every Saturday and Sunday at selected times. Bookings are essential. Trattoria Amici combines Italian inspired cuisine, great beverages and the Gold Coast’s alfresco lifestyle making the restaurant a relaxed and memorable dining experience. Trattoria Amici specialises in wood fire pizza and the menu features an array of fresh pasta dishes, main courses, lighter options and desserts. These are complemented by an extensive Italian wine selection. The restaurant is a great place to dine with friends and family, offering great food, friendly service and a relaxed environment. 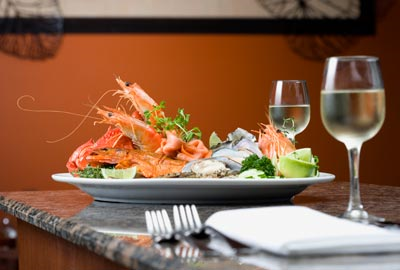 Located on level two, overlooking the Resort Pool is the Gold Coast's best value Seafood Buffet. Offering a massive selection of Australia's finest seafood including Australian blue swimmer crab, ocean prawns, smoked salmon and oysters in the half shell. There is also a tantalising range of salads, antipasto and meze counter, a huge array of hot dishes from the chefs interactive cooking zone including baked whole fish and our slow roasted beef, carved to order, Australian farm house cheeses, just baked breads, ice cream bar and an amazing selection of desserts from the Resort's in-house pastry shop. Arakawa Restaurant specialises in providing Japanese cuisine that inspires, captivates and educates. Arakawa's new menu offers a range of Japanese dining options including intricately handcrafted sushi, traditional a la carte dishes in a tatami mat setting and all the thrills and excitement of the teppanyaki tables. The restaurant is designed with both the Japanese and western visitor in mind, with the spaces fashioned after 'the traditional Japanese style'. The restaurant also features intimate private Tatami Tables which can be booked for special occasions. The entire restaurant can also be booked for private functions subject to availability. Relax beside the Resort's tropical outdoor pool and enjoy a delicious range of snacks and light meals from the Arika Pool Bar. Choose from a range of beverages including an extensive range of beer, wine and spirits and a range of cocktails perfect for celebrating whilst taking in the laid back Gold Coast lifestyle. Set a short distance from the white sandy beaches of Surfers Paradise and at the heart of the region’s sand belt, this 100-hectare resort is set on a champion golf course. It’s midway between the sparkling coastline and the lush beauty of the hinterland rainforests.